From initial shoot concepts to delivery and everything in between, we execute complete campaigns. Continuing our relationship with shoe brand Koi Footwear, we took their need for refreshed summer imagery - and ran with it. Shooting at various locations on the island of Ibiza, we produced a series of video and still content to be used across all marketing channels - including social media, email marketing, website content and paid marketing - as one succinct high summer campaign. 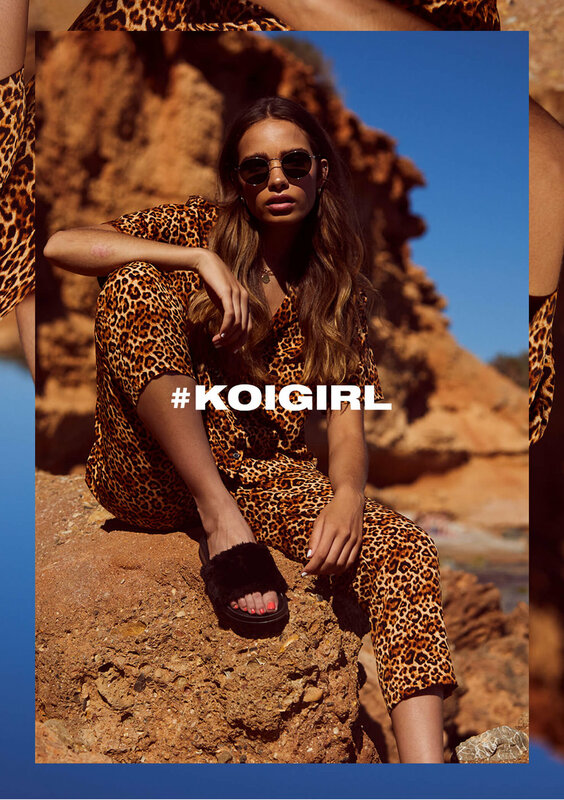 Building on the #KOIGIRL ethos, we wanted to keep the momentum going for producing strong, fun and youthful location shoots. With the hashtag (and the girl) as the focus - the assets give impact and originality that sets Koi apart from other industry competitors. The beautiful backdrop, the girl and some of the best creatives, we had a team that created a shoot whereby the overall campaign message sells not only the footwear, but the lifestyle, too. A relatable yet aspirational shoot that, as always, is shot footwear first. Post-production was instrumental in taking the campaign to the next level, with our content, social and design teams coming together to produce a 360 degree delivery. We established a colour palette and guest font along with engaging messaging to compliment the seasonality of the images and create some really strong graphic assets. A combination of countdown teasers on social and email marketing created a buzz pre launch. The cherry on top was the video - collaboratively created by Ryan Nicholas from Nicholas Visuals and the in-house Crème team.